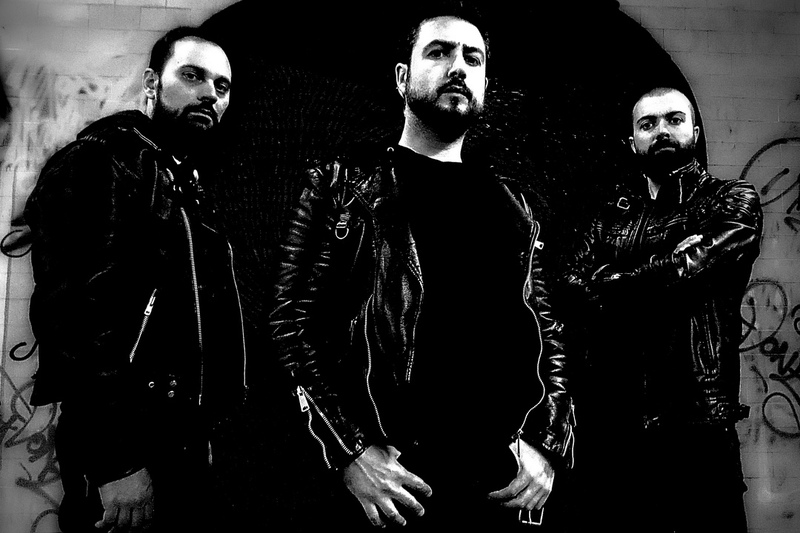 In the spotlight for this week’s Meet The Band is the Greek death metal group Gravewards. Ruinous Ensoulment is their full-length debut. Vocalist/guitarist Nikos introduces us to his band. Chad Bowar: Give us a brief history of Gravewards. Nikos: We have been killing each other since 2015 as Gravewards, although we are long time friends sharing our musical abilities through the years sporadically, by doing rehearsals and stuff mainly for our pleasure. But since we have always shared the same will, the lust to create music and express ourselves though it, we simply decided to form this band, which was something we always wanted to do together. But as humans we tend to postpone things, so better late than never, as they say. The rest of the story is a demo tape and our debut album! Describe the songwriting and recording process for Ruinous Ensoulment. It was a challenging task for sure and not an easy record to finish. We always put our heart and soul into it and we are very passionate about it. So when the recording process starts, we are ready to burst, so to say. I write the songs mostly first and then I usually start to write the lyrics, but not always in that order. In the meantime we rehearse as much as we can. When I complete the guitar structure for each and every song I enter the studio (first step of the recording process). After that, Fotis (bass) and Bill (drums) continue to practice on their own when rehearsals are not possible and to save time, especially for some ideas that we could not find time to practice all together. The pressure was there, we had our ups and downs, the usual stuff a recording process involves, nothing special. A Molotov of death metal with aggressive thrash parts. Since lyrics are emotions turned into words filtered by a personal point of view, it is hard to simplify or to categorize them. Sometimes is an image or an idea as a starting point and generally things that draw my attention and then a sea of words comes all of a sudden. But my main source of inspiration is life and the so-called reality we are living in, limitless and darker than fantasy. I really hate concept albums when every song speaks about the same topic all over again, so I prefer to keep every song as a separate entity in order to serve better the grotesque, dark and macabre aura of the record as a whole. How did you come to sign with Unspeakable Axe Records? By sending our demo tape Subconscious Lobotomy. This was our first acquaintance. They liked our sound and we always wanted to cooperate with Unspeakable Axe Records, so things turned out well. You’ve never played live. Do you have any show/tour plans? Nothing sure for now. If we ever want to, I am pretty sure we will find a way, but for the time being we are focused on the release of our debut album and also on new material for future releases. Horror books, movies and the like must have their perfect soundtrack I always thought. And guess what, I found metal! Possessed, Slayer, Sepultura, Death, Morbid Angel and the other gods from that era. Metallica in Athens ’93 with my older cousin. How’s the metal scene in Athens these days, especially the death metal scene? We are not the most involved or updated persons to ask about it. But Athens always gives birth to new music every day. Who are your all-time top 5 Greek metal bands? I like old Varathron, Necromantia and Rotting Christ records for this exotic feeling they had. I also like Septicemia, Stigma, Sarcastic Terror. Death metal, thrash metal, some grind and crust as well. No one can support metal without buying physical copies from bands and labels. Keep an eye out for our album (purchase it here), and drop a like on our Facebook page for all the latest news.